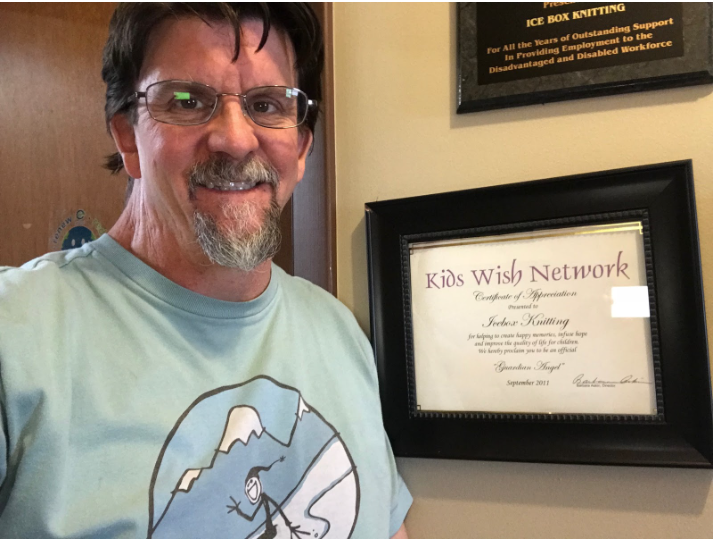 Scott Baker pictured at the company’s headquarters in Longmont, CO next to icebox Knitting certificate of appreciation for recognition as a 2-time Guardian Angel. While coping with a family member’s battle against cancer, Kids Wish Network’s founders witnessed firsthand the trauma pediatric cancer patients and their family’s undergo during those painful and debilitating treatments. 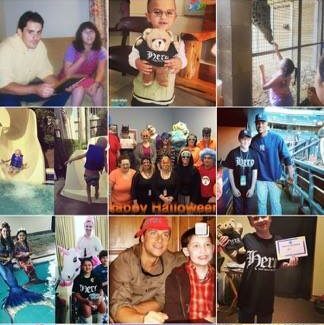 It was then, gathered around the kitchen table during a conversation about the struggles these families face that Kids Wish Network was born and their first wish was granted. When our Wish families face the loss of their child KWN are there for them, devoted to helping our wish families honor their child in a respectful and dignified manner by offering financial assistance towards a proper memorial ceremony through A Child Forever funeral assistance program.